Description: Three children - Violet (14), Klaus (12) and Sunny Baudelaire - are left orphaned when their house burns down, with their parents in it, in mysterious circumstances. They are left in the custody of a distant relative, Count Olaf (played by Jim Carrey). 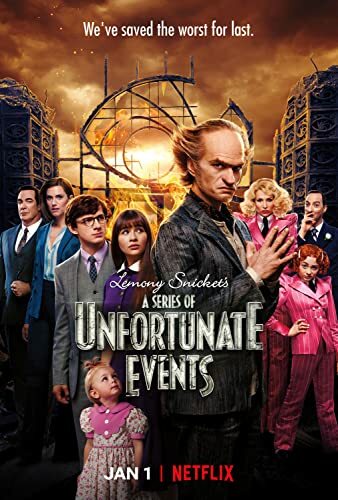 It is soon apparent that Count Olaf only cares about the children for their large inheritance.Three children - Violet (14), Klaus (12) and Sunny Baudelaire - are left orphaned when their house burns down, with their parents in it, in mysterious circumstances. They are left in the custody of a distant relative, Count Olaf (played by Jim Carrey). It is soon apparent that Count Olaf only cares about the children for their large inheritance.